When you’re looking for a good every-day wine on a tight budget, you might find yourself turning to the wines of Chile. This long, narrow, and climatically diverse South American country has developed quite a reputation for value over the last couple of decades. But thanks to recent shifts in winemaking and marketing philosophies, Chile has increasingly become a source of interesting and high-quality wines that is worth keeping a close eye on. Much of the wine is still eminently affordable, but it now has quite a bit more to offer for the money! 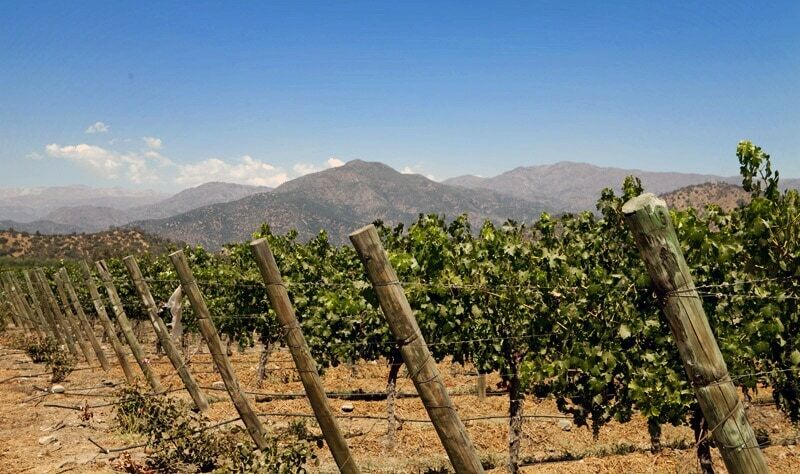 In a warm, dry, and geographically isolated country with little threat of disease or pests (Chile is the only major wine-producing country that has managed to remain completely free of the devastating phylloxera louse! ), large quantities of wine can be produced with relative ease. However, in an effort to step up the quality and complexity of their wines, many producers are experimenting with techniques in the vineyard that stress the vine and facilitate even ripening, resulting in smaller yields of more concentrated fruit with balanced acidity and alcohol. 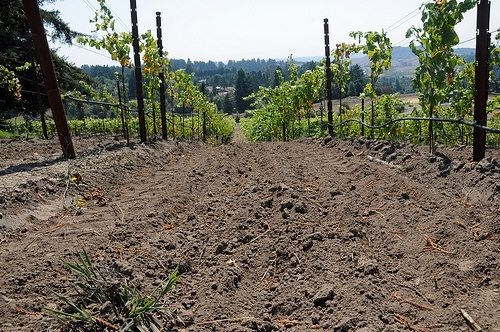 Some of these methods include higher altitude plantings, early picking, the revival of old vines, and the exploration of cooler climate vineyards. Some regions to look out for include Leyda, Bio Bio, Limarí, and the Casablanca Valley. With consumers becoming increasingly educated about wine and improving their understanding of their own personal preferences, wineries are beginning to step up their game from entry-level to higher-end and premium wines. While the Chilean section of the wine shop remains an excellent place to find sub-fifteen-dollar bargains, a new focus is beginning to emerge on smaller producers and more serious wines. Taking a page from Tuscany’s book, Concha y Toro’s Don Melchor, a superior-quality Bordeaux-style blend, established the category of “Super Chilean” wines with its 1989 release. It has since inspired comparable wines of top pedigree including Errazuriz Don Maximiano Founder’s Reserva, Emiliana Ge, Almaviva, and Lapostolle Clos Apalta. These blends often include Syrah and Carménère in addition to traditional Bordeaux varieties. A wide range of grape varieties can easily be grown in Chile’s versatile conditions, so many producers are looking to differentiate their wines either by putting their own spin on internationally beloved varieties, or using uncommon or locally historic ones, like País, a variety brought to Chile in the 1550s by Spanish missionaries (hence its North American synonym, “Mission”). This grape is shedding its reputation for overly tannic, unappealing bulk wine to make way for brighter, fruitier wines often made using whole cluster fermentation and/or carbonic maceration. 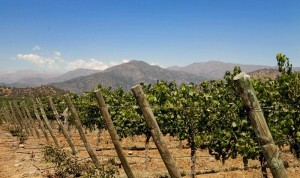 Chile has also begun to consider some less common varieties from European countries, such as Spain’s Mencia, Portugal’s Touriga Nacional, and Italy’s Greco, Fiano, and Aglianico. Meanwhile, the more common international varieties are showing no signs of slowing down. Cabernet Sauvignon will always have its place, but classic Rhône varieties like Grenache and Syrah are picking up steam, encouraged by favorable climatic conditions and soil types. Malbec, much more closely associated with neighboring Argentina, is another one to keep an eye on, especially when old-vine plantings are utilized. In cooler climate regions, fresh and light Pinot Noir and Chardonnay are produced with low alcohol and refreshing acidity, but don’t call them Burgundian — these wines are intended to express Chile’s unique terroir. Meanwhile, Sauvignon Blancs set themselves apart from those found in New Zealand with methods such as early picking, barrel fermentation, and lees contact to create a softer, less herbaceous or grassy style. In addition to grape-growing techniques aimed at reducing yields, alcohol, and sugar levels in the vineyard, practices in the winery as well are moving in a direction inspired by the balance of old-world wines. This includes eschewing the use of new oak in favor of concrete eggs or large vats made of neutral wood to create food-friendly, approachable wines with round, silky tannins. When new oak is used, the goal is to create better integration with fruit flavors. Additionally, efforts in the vineyard to reduce alcohol levels in wines are further carried out in the winery during the fermentation process. If you’ve been pigeonholing Chile as the land of bargain wines and bargain wines alone, now is the time to take a closer look as this country embarks on an exciting renaissance of wine production! Anyone who’s lived in the Bay Area for more than a year or two has probably been to the Russian River, and anyone who is from the Bay Area probably has a story of a lost weekend spent there; however, you can easily speed though the valley without giving much thought to wine: if that’s the case, you are doing yourself a disservice. You can’t avoid wine in Napa -drive up highway 29, and the various wineries beckon you inside like a sidewalk sign twirler in a gorilla suit at tax time. The Russian River is more subtle. Whereas Napa has given itself over to development, the Russian River insists on holding on to its wild-west roots. Black Bart robbed stagecoaches here, and supposedly buried the take from a Wells Fargo heist in the hills above Korbel. Standing on the corner of Occidental Road and the Gravenstein Highway pumping gas and looking across the street at a rental lot for heavy farm equipment, it’s easy to forget that arguably the greatest Pinot Noir in the world is grown right behind the tree line barely 100 feet away. Indeed, you can walk to Dutton-Goldfield, Dehlinger, Lynmar and 10 other wineries from where I am standing. Much like the whole of France, this area used to be a shallow inland sea. When that sea receded, it left behind a delectable ring of marine sandstone called the Wilson Grove Formation, the jewel of which is the clay and sandstone blend called the Gold Ridge complex. To the west of me is the Green Valley AVA where this combination sits on a bed of fractured rock, and along with the influence of persistent fog accounts for a long ripening process, producing Chardonnay and Pinot Noir to rival all but the greatest Burgundies. The Pinots are filled with blackberries and violets; the Chardonnays with flavors of tangerine and green apple. Walking out of the tasting room with six bottles stuffed under our collective arms, now comes the question of where to go and enjoy it! Sebastopol doesn’t offer much, Forestville even less. Finding great places to eat here is more of a treasure hunt; it all depends on what you want. If you want a perfect pairing for that Pinot Noir, you need to sample the menu at Highland Dell in Monte Rio, owned by members of the Bohemian Club; the food belies the quiet image of the town. If you are short of time, and need to head home, then Willi’s Wine Bar where River Road meets 101 had the best food you will find in this part of the county. And here’s the secret that every local knows: the best time to visit is between now and the end of October; the weather is mild, but sunny and the tourists have gone home. So if you have time in the next few weeks, then head north. You won’t be disappointed. Stand back, a new, ultra-premium Merlot and Sauvignon Blanc producer has entered the arena. Jenny Wagner, of the famous Wagner Family of Wines- Caymus Vineyards, Mer Soleil, Conundrum, Belle Glos and Emmolo, put her stake into the ground. Taking her mother’s (Cheryl) vision and drawing from her father’s (Chuck) winemaking acumen, she is producing World Class wines! Learn more from our storyboard below.